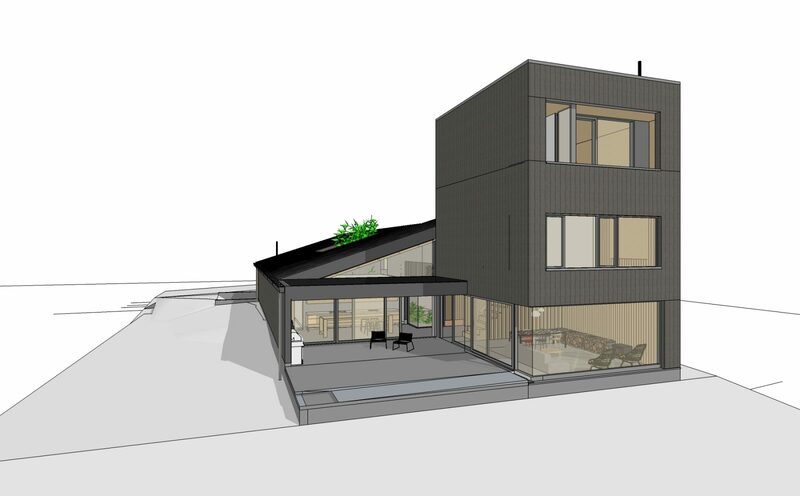 A new live-work duplex for a couple in the film and media industry who live in Squamish for the bounty of fun and nature which surrounds. This uniquely long and narrow site backs onto Ring Creek and provides a wonderful acoustic and environmental focus for the design. With close proximity to adjacent neighbours, the courtyard was used as a strategy to weave privacy into the everyday use of the house with a focus on the views and southerly light.